Homespun Stitchworks..... For the love of vintage: Duck Egg natural Dyeing results. After yesterdays post I decided to do some research. I came up trumps! 'Woad' is the answer to my dyeing dilemma. Woad is a plant that you can dye things blue with and I think if I can add some saffron (that is yellow in colour) to my mix I may get a form of duck egg for my butterfly project. 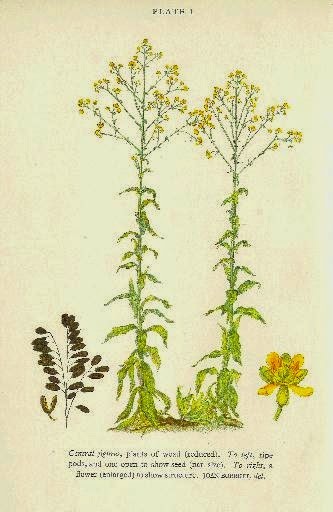 Woad (Isatis tintoria) is grown from seed and harvested around July/ August time. In the meantime because of missing the harvest of this year I have found a place to sell me some for dyeing and I will show you the results when I receive it and I dye some vintage linen with it. I think that this project will then be a go! fingers crossed that it looks good. 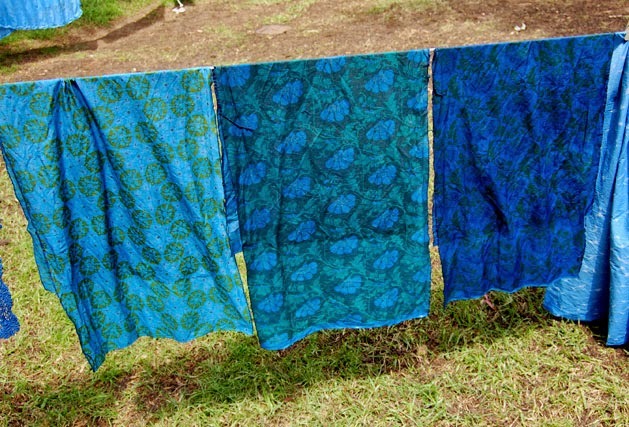 My research has not ended on plant and vegetable matter for dyeing fabrics, this has really caught my attention and I will be posting more about this as my research grows. Look at the results that were achieved in this workshop! Amazing!